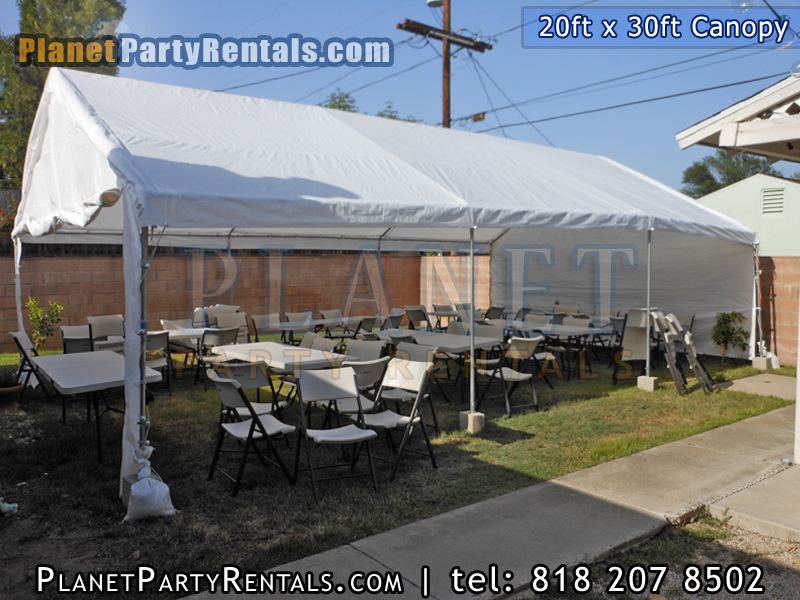 The 20 feet by 30 feet Canopy is perfect for large events where you want to provide shade or enclose a large area for your guests. 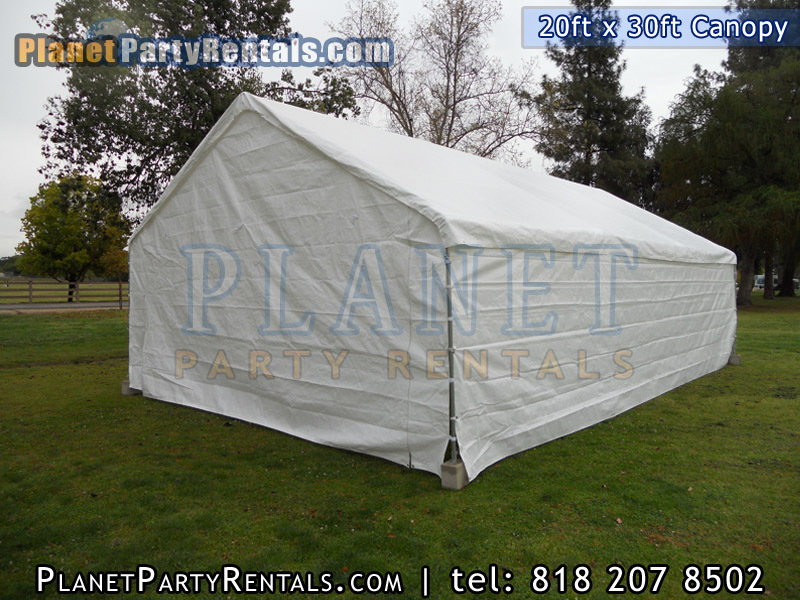 The 20ft x 30ft comes with four removable walls which provide privacy for your event. 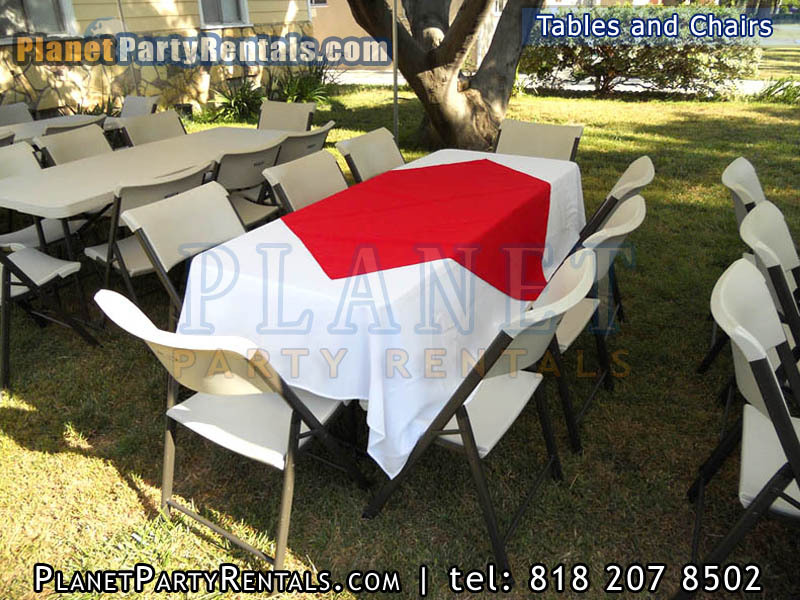 Each wall can be removed to create the setting that the client requests. 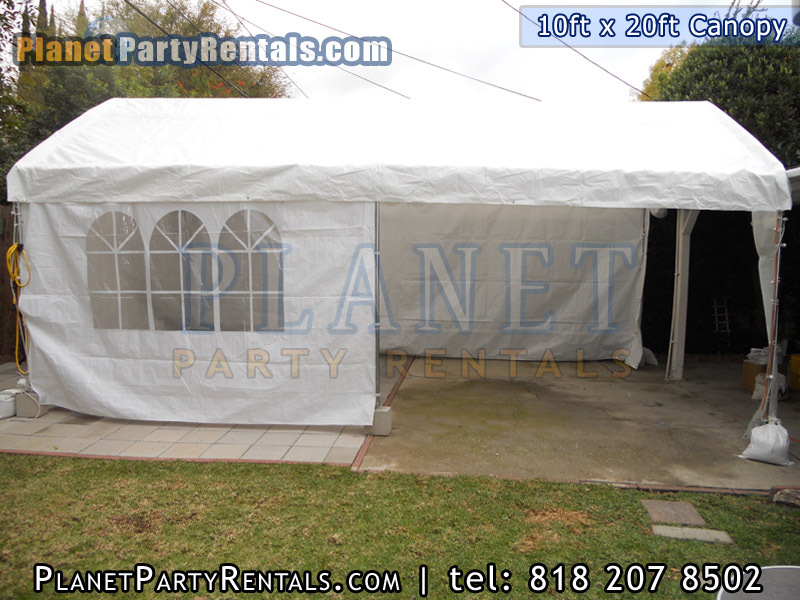 If you require no walls with the canopy we can also accommodate that request. 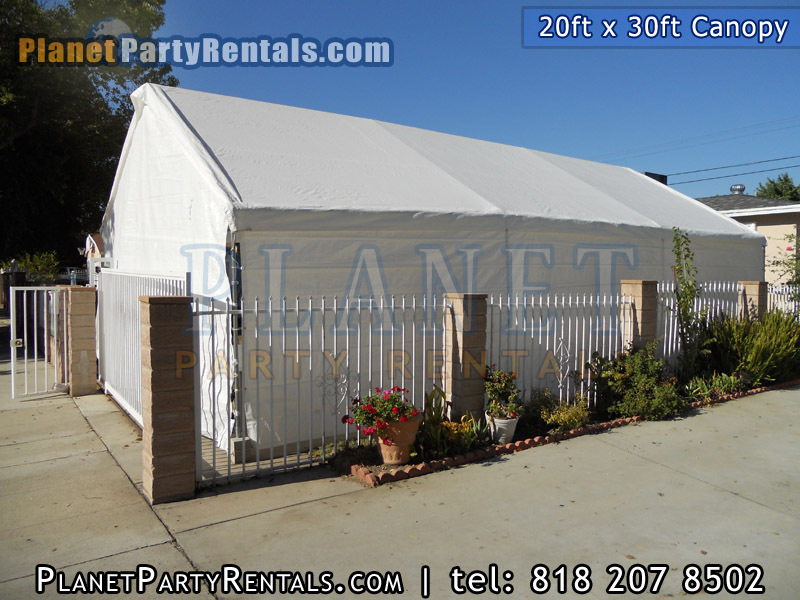 The Canopy can be placed on various surfaces, which include dirt, grass and cement. 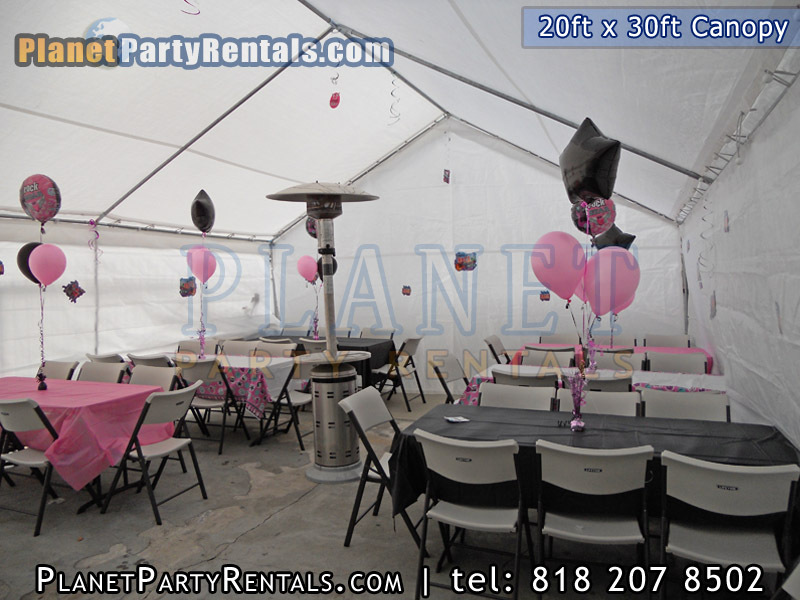 The 20ft x 30ft Canopy is supported by solid cement blocks on each end and held down with sandbags.The 20ft by 30ft requires 11.5 feet of height clearance. 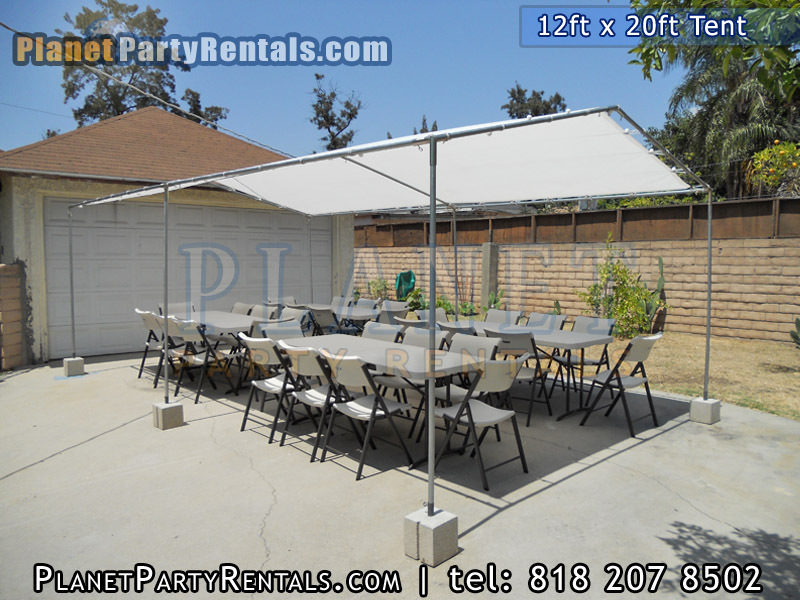 Patio Heaters less than 7 feet tall are allowed to be placed inside of Canopies. 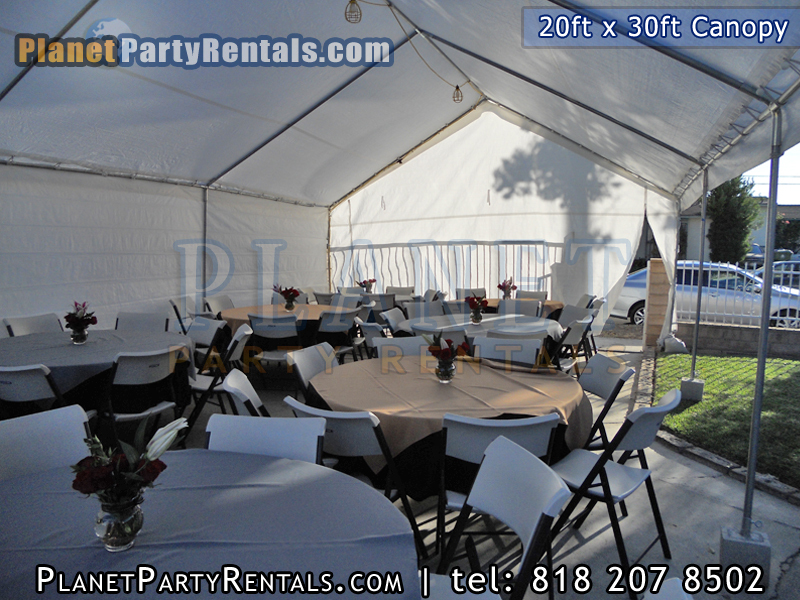 You can rent the Canopy only or you can rent the Canopy with a package that includes tables and chairs. 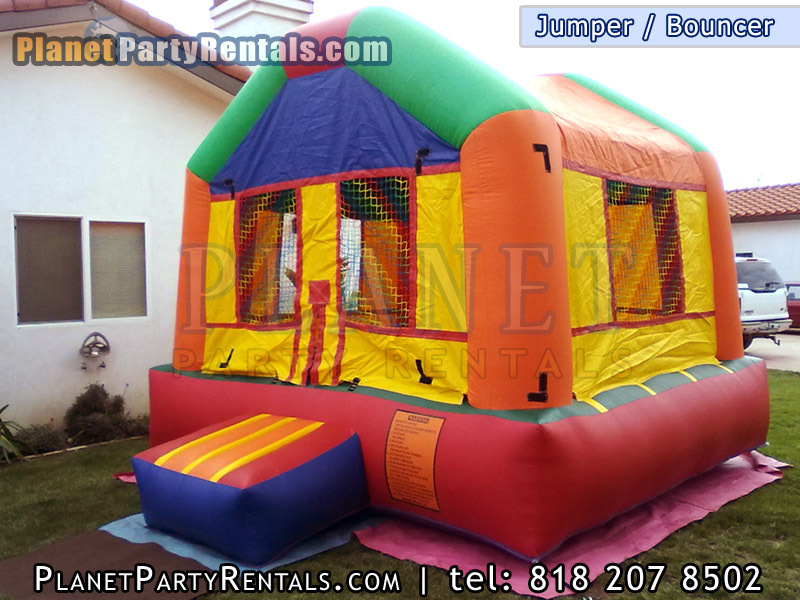 The Canopy does not include lights, there is an additional $10 charge for the lights. 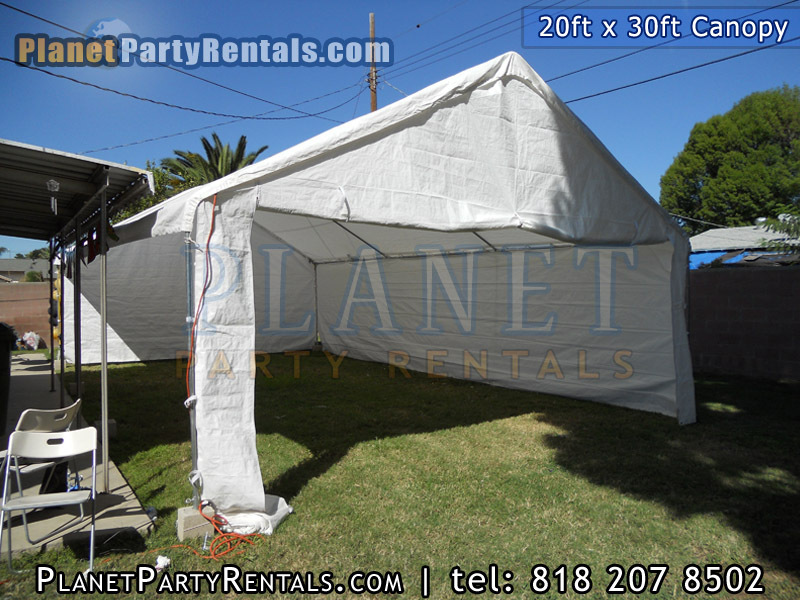 Delivery and setup of the Canopy are included with the rental.